Eu-Gen European Generation | THIS TIME I’M VOTING |GET INVOLVED! 27 Mar THIS TIME I’M VOTING |GET INVOLVED! 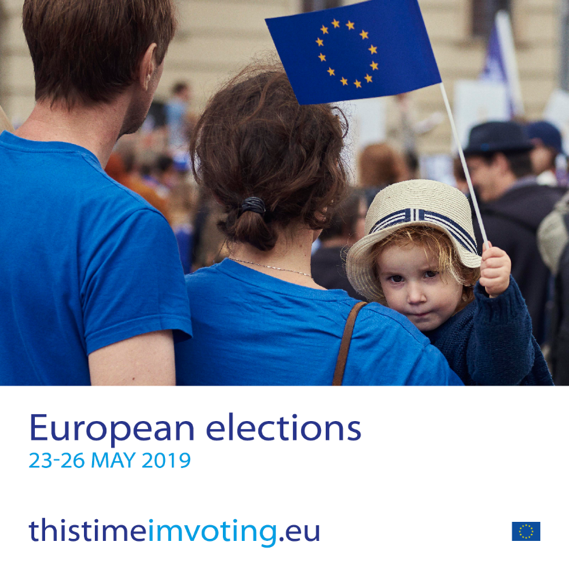 With the upcoming EU elections on 23-26 May also EuGen – European Generation has decided to get involved in the campaign This Time I’m Voting. Why vote in the European elections in May 2019? As Europeans we face many challenges, from migration to climate change, from youth unemployment to data privacy. We live in an ever more globalised, competitive world. At the same time, the Brexit referendum has demonstrated that the EU is not an irrevocable project. And while most of us take democracy for granted, it also seems under increasing threat, both in principle and practice. This campaign is about building a community of supporters to help encourage a higher voter turnout at the European elections. The goal is not to tell people who they should vote for: it is to promote the act of voting itself, the act of engaging in the democratic process; and the act of doing so in a conscious and fully informed way. We want to harness the power of human interaction and build a community of supporters across Europe to rally behind the cause of voting and to stand up for the very idea of democracy. Together decide what kind of Europe we want to live in. Because this time it’s not enough to hope for a better future: this time each and every one of us must take responsibility for it too. It is easy! Register at the link below and join us in the campaign, see what events are organized near you and help to persuade others to vote too.